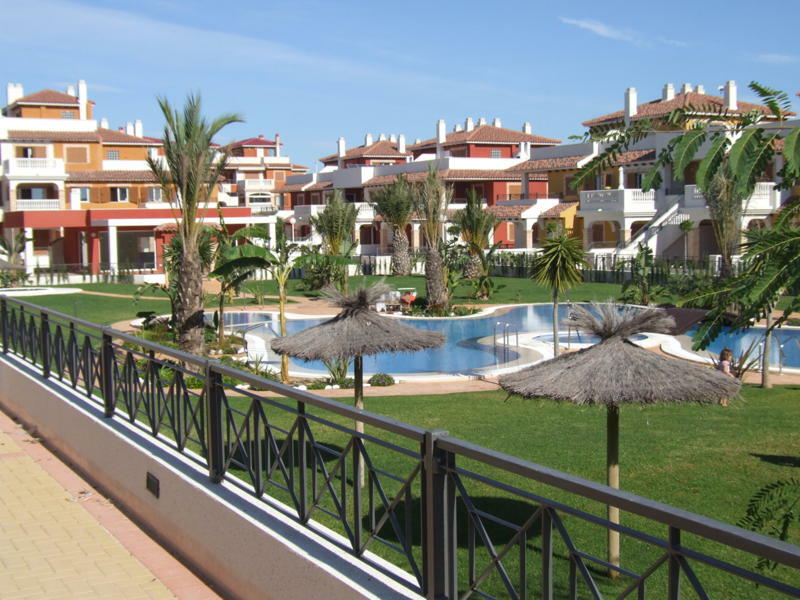 Apartment in a quiet area of Playa Flamenca, 500 meters from the beach ..
Apartments is located in the province of Alicante Playa Flamenca, have everything you need for a comfortable stay: Bungalow is fully furnished with a large terrace, air conditioning and satellite TV. The apartment is in a private complex, where there is a communal pool, garden, jacuzzi, spa, gym and club. Other places of service required and all leisure, as well as supermarkets, shopping centers, a new state hospital and two private schools. Also, a beautiful sandy beach is only a few steps away. In May and October, the cost of rent is 400 euros per week in June, July, August and September - 500 euros per week. The lease conditions include the payment of the guarantee, the amount of which 300 euros (this amount will return in the case of absolute security of things at the end of the lease term). To book it is necessary to pay 25% of the total rent. Additional costs: final cleaning and laundry - 80 euro internet - 50 euros.